Despite announcing plans to move out of Studio 6A come 2019, the “Today Third Hour” still managed to give its now temporary home a wintery feel thanks to the large video walls behind home base. 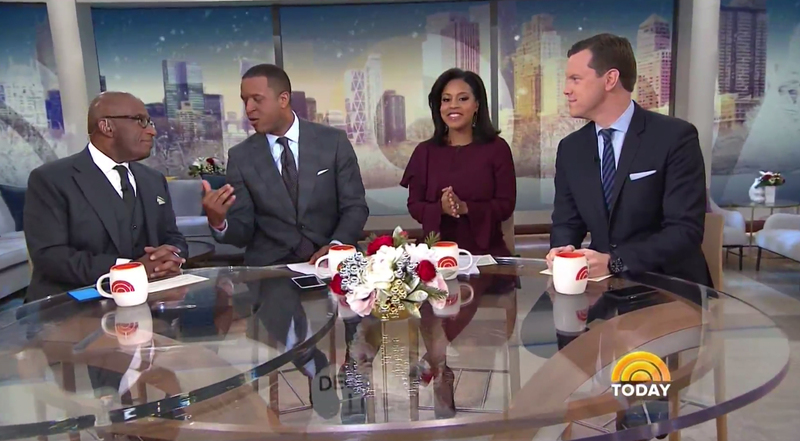 The show used a background on the former “Megyn Kelly Today” studio video walls that features a snowy cityscape scape that hints at a sunrise, with large, soft flakes of snow falling. The oversized “Today” logotype remains.